I was giving a presentation skills training session in the Glasgow Radisson on Friday. The audience? A group of PAs to the Chief Executives of Scotland’s Councils. 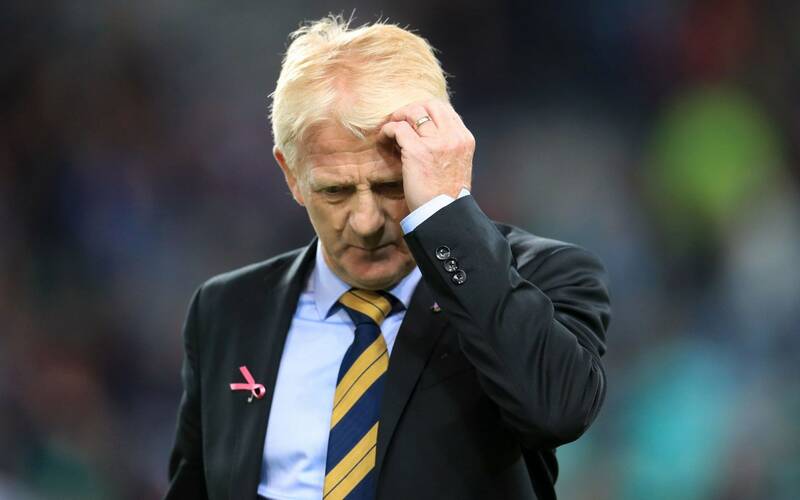 I was about to start, when I heard murmurs about Gordon Strachan, which turned into chuckles. One of the women at the front explained to me that the former Scotland footballer and manager had just checked out of the hotel reception that morning. It was a chance to create something fresh, off-the-cuff, to build engagement. Why give an off-the-cuff presentation? A fresh start helps to break the formality of a speech and turn it into a conversation. It demonstrates confidence to the audience, so they become more comfortable listening to you. The anecdote turns your presentation into a story, which satisfies our childlike disposition. 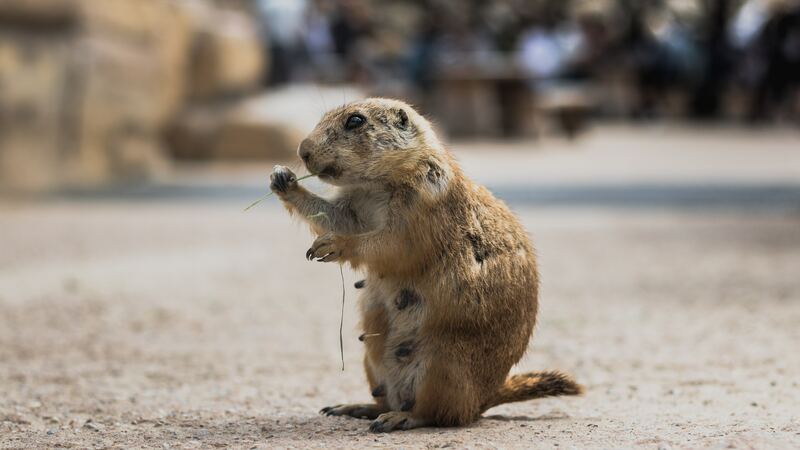 It’s a technique that’s been used by public speakers at after-dinner events and conferences for decades. And it’s just that: a technique. I must have told the Gordon Strachan story a hundred times. It involves us having him in for media training in Glasgow, when we showed him a clip of himself talking to Scotland’s media. He harrumphs and stutters in the clip, seemingly bored by the question, before fading into an awkward silence. When we showed it to him, he conceded he could have handled it better. The story serves to show people why you should always engage with your audience to build trust, rather than alienate them by disengaging. So was it just luck that Gordon Strachan happened to be in the hotel that day, to allow us to use that seemingly impromptu start? 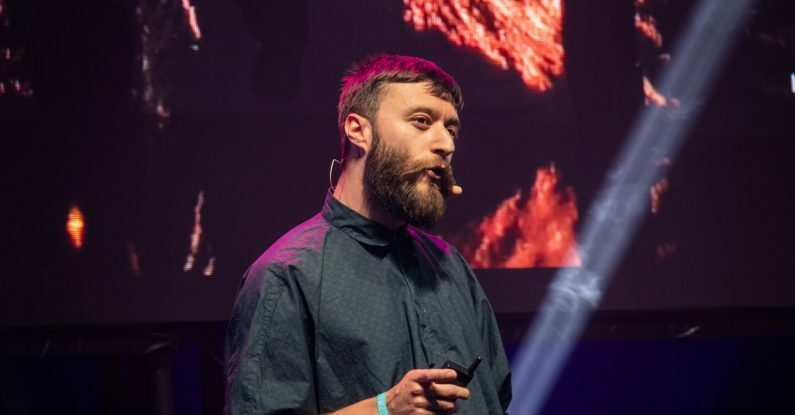 On our presentation skills and pitching courses each year, we tell thousands of anecdotes, creating fresh ones each time based on the news, sport and conversations with trainees. Anecdotes across showbiz, sport, politics, public life. It gives me confidence that whatever celebrity checked out of the hotel, there’s a link somewhere. This takes time, confidence and a desire to experiment. The next presentation you give, turn it into an analogy, or use a recent news hook to explain what you’re there to discuss. Build the anecdotes up, so they’re rehearsed and appear fresh. 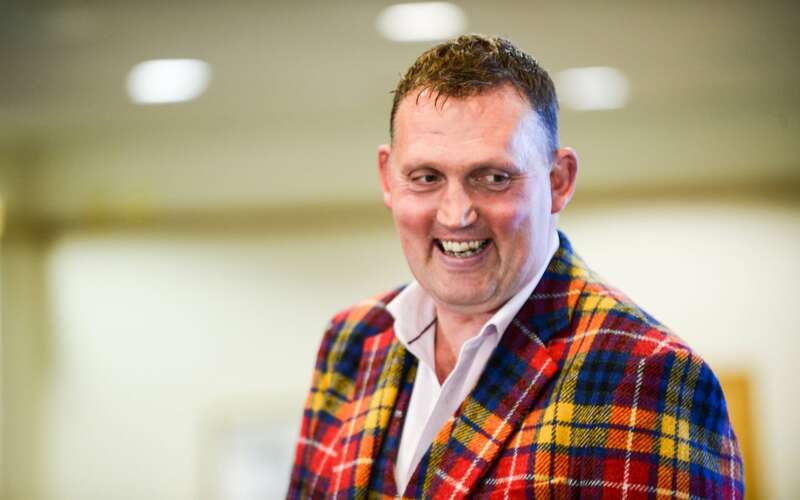 I’m a big fan of former British & Irish Lions and Scotland rugby player, Doddie Weir. Whenever I’ve seen him at after-dinner events, he’s always ‘working the room’ before he speaks. One of his aims in doing so is to create a fresh start to his speech. Something relevant that he would only have known from making the effort to network. People often ask us how to begin a presentation. Tell a joke? Ask a question? No – prepared humour is subjective and questions lose you control. Finding a personal link to the audience builds an immediate connection. The trouble with a prepared anecdote is that it often misses the mark. I presented in Aberdeenshire a couple of years ago (using the Gordon Strachan story, incidentally) and it felt forced. The audience last week was almost identical to that in Aberdeenshire, but this time the anecdote felt fresh and relevant. So find out something about the date, the building, or your journey there. Now you can lead on to make a point about making predictions, breaking old habits, the weather. Now the audience feels part of a one-off story, which you can only tell in that building. The late John McCain, former Arizona Senator and twice defeated Presidential nominee used a similar tactic when engaging his audiences. When debating Barack Obama in the run-up to the 2008 Presidential Election, he referred to the conversations Obama had been having with audience members and voters up and down the country. He used their first names and job titles to show he’d been listening. 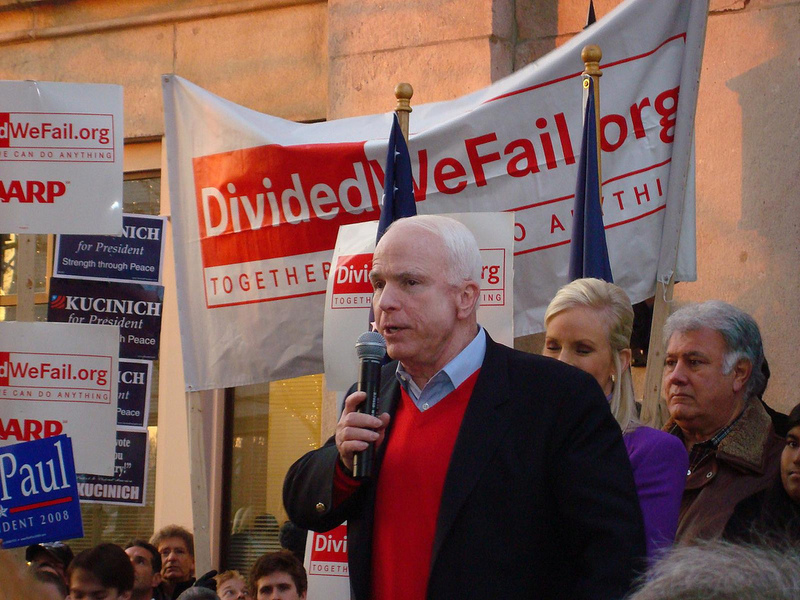 McCain repeatedly mentioned “Joe the Plumber”, the name the McCain campaign gave to a Republican party member that quizzed Obama on his tax plans when visiting Ohio. To the Republican nominee, this neatly characterised his target voter. The trouble was, Joe wasn’t a plumber, nor he did necessarily want McCain to win. “Joe the Plumber” became a moniker that backfired, to show that McCain was choosing style over substance. In contrast, then-Lib Dem leader Nick Clegg, when campaigning in the 2010 UK General Election, started a trend of writing down the names of people asking questions during the televised debates. He won the first debate hands-down, as his rivals struggled to engage. So you have to do it right. Get it right, and you’re off to a flier.